Endless was born in the late 2011 by Enrique Prieto (Disharmonic, Nalisea, Reincarnation) needing a more personal project from Disharmonic, fully parallel and more aggressive and forceful than the other band. With his own compositions, it was recorded in his own studio called Until Now. Gradually as a result, in late 2011 the first album "Human Intoxication" was released, 10 tracks of death metal, recorded, mixed and mastered entirely in Enrique's studio, including part of graphic design with his participation. This first album has been well received by the media giving an opportunity to compose a second album. In August 2012, the second Endless album entitled "The Seventh Revelation" began its development. For this album, Enrique decides to have the collaborations of Oscar (Vox) from "With All My Hate" and Javi (bass) from "Disharmonic". This album also features 10 tracks of forceful cutting edge death metal still maintaining the melodic parts that characterize Endless. 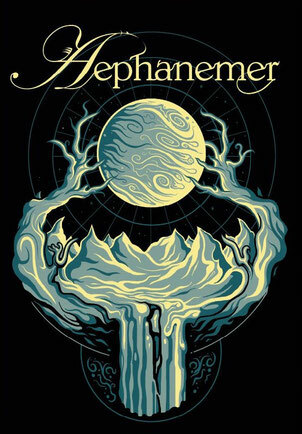 In early 2013, right in the process of releasing "The Seventh Revelation", the record label Spectral Blasphemy was interested in band, making the band record a new and third album "Prophetic Seal Of Apocalypse" being the first concept album, themed by the 7 seals of the Apocalypse. In 2016, "Duality Of Personality" was produced and released as a digital copy through Bandcamp. Starting with the cover art of ‘’Mad Sick Mind’’, it promises a lot. It looks really professional and after listening to the album I think the artwork suits the music. However, Endless seems to have a lot of progressive influences, there was so much going on in some tracks that it lost me. The intro sounds kind of oriental, but that is nowhere to be found in the rest of the album, I think it was nice if they pushed that influence through the whole album. I usually like death metal, but ‘’Mad Sick Mind’’ did not convince me. It was all more or less the same, unfortunately. I rate this album a 6 out of 10.